(Brisbane, QLD) Australia’s Largest German Cultural Festival (Oktoberfest Brisbane) partners with Lennd as part of an ongoing effort to streamline their operations and support the growth demands of the event. 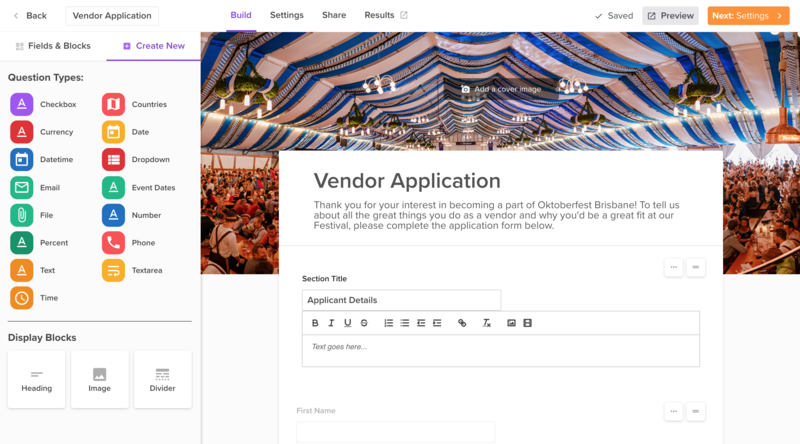 The Oktoberfest Brisbane team will use Lennd to collect, track and manage critical vendor documents, vendor applications, parking passes and credentials. The OFB Team is also exploring the use of Lennd’s recent integration with RFID provider Intellitix, who has been the event's cashless and access control provider since 2017. “It’s extremely validating to have partners like Oktoberfest Brisbane, who have done their due diligence in researching what’s available in the market and chose Lennd as their festival operations platform.” said Chris Carver, CEO of Lennd. "We have been researching festival management systems for some time and found that the flexibility of the Lennd platform gives us the opportunity to customize various operational workflows specific to our requirements. Lennd really stood out because we can create custom workspaces to manage very specific information and still have all of the data connected to the rest of the platform. For any festival management system, it is critical to have a seamless flow of data between modules, internal departments and systems". “As the experience economy continues to grow and evolve globally, consumers continue to expect more and more out of the events they attend. And since production budgets are not expanding at the same rate, more and more event teams are looking for technology to help them scale. Partners like Oktoberfest Brisbane not only understand the benefit now, but also see the potential and competitive advantage it gives them in the future. It's incredible to work with such forward thinking event professionals.” said Carver. Lennd is a next generation event management platform that simplifies operations and logistics so event teams can work smarter, move faster, and improve their ROI. Whether you are managing vendors, artists, media, sponsors, suppliers, staff, exhibitors and crew, or tracking and managing applications, credentials, comp tickets, documents, catering, equipment orders, guest lists, lodging details and more, Lennd's flexible database helps streamline the operational demands of today’s complex events, all in one central place. Over the past ten years, Oktoberfest Brisbane has grown to become Australia’s largest German Festival, with more than 40,000 culture-seeking enthusiasts last year descending on Brisbane to experience the celebration of German culture and tradition. The festival is the product of Brisbane-based, German-Australian Festival Directors Kim and Boris Zoulek, whose personal version of Munich’s famous Oktoberfest turns the Brisbane Showgrounds into a mini Bavaria with a culturally-rich atmosphere complete with delicious food, world-famous beers and a line-up of traditional entertainment.